Nicely shaped and polished Nuummite to fit in the palm of your hand. The shiny gold strands are a mix of pyrite, pyrrhotite and/or chalcopyrite. Grounds and stabilizes into the earth or physical plane. Helps to step into our own inner power to become confident and to love all the parts of ourselves. Nuummite is in the Orthorhombic crystal system in the family of silicates. It is a metamorphic stone, which means that it is formed as a result of the transformation of existing rock. The main make up of Nuummite is actually Gedrite, a lithium amphibole, and Anthophyllite, a magnesium iron silicate. It also contains lesser amounts of Pyrite, Pyrrhotine and Chalcopyrite. It's coloring can range from light gray to black with iridescent yellow, blue, red, green, gold and/or violet flecks. The flashes of color we see comes from its structure (thin, alternating fibrous layers) much like what we see in Labradorite. 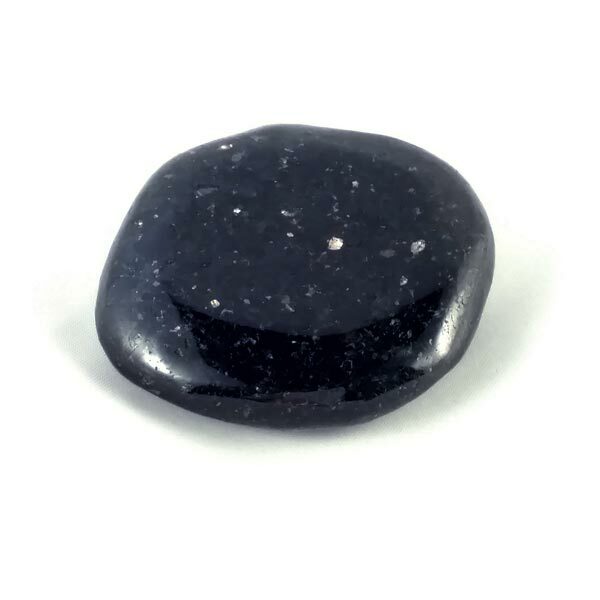 Nuummite was discovered in 1982, so it is a fairly new gemstone to the metaphysical world. Its name, through translation, means "from Nuuk", due to the fact that it was found in the Nuuk region of Greenland. Although only recently discovered, it was actually formed more than three billion years ago, and is now known as some of the oldest stone on earth. Nuumite is also known by other trade names as the Shaman's Stone, Sorcerer's Stone, or Magicians Stone. Nuumite is best used when worn in contact with the skin (as with most stones). I found it beneficial in relieving tiredness later in the day. While some have made great claims of its ability to stimulate our intuitive abilities, it seemed to me that it more inspired intuitive responces that were based in logic. But, I am more science based in my approach to using gems, so it could also be that it responded in a way I would understand and accept. 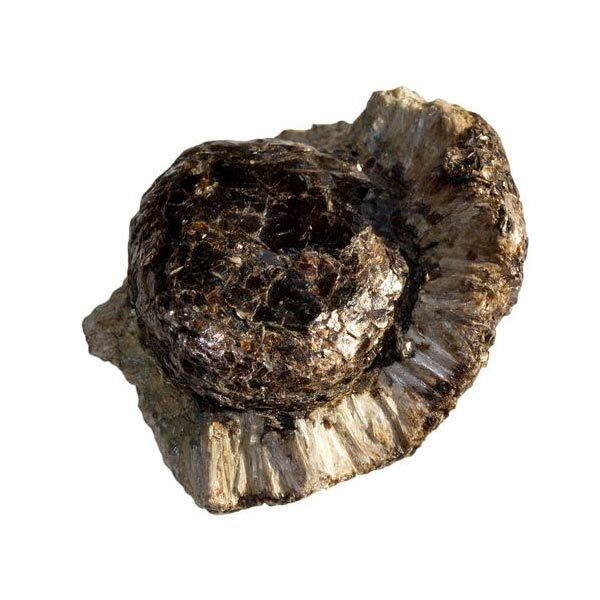 Nuumite has been known to stimulate psychic experiences, clairvoyance and intuition. It has also been shown that for many, it very useful in accessing past lives for the purpose of recognizing past patterns or misuses of power, and to clear karmic debris and restore our true nature. Nuumite allows us to see beyond emotional masks and to understand what lies beneath the words and actions of others or ourselves. Aids in probing deep into our psyche to find the hidden hurts, fears, guilt or shame that lies in our subconscious and holds us back from our path. Nuumite helps us to listen to our inner voice and is very beneficial during meditation in stimulating the access to learn our true selves. Nuumite helps to restore our body's balance as far as stamina and for reducing tension and stress. It has been found to aid tissue regeneration and as an aid in balancing insulin production. To date, I have not found a zodiac association for Nuumite. It has a Masculine Energy and its Element is Earth. Since it was only discovered in 1982, there is no ancient folklore that I have uncovered.